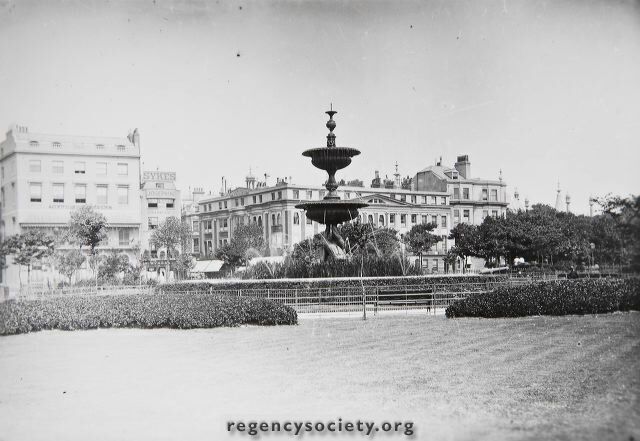 Views across the Steine Gardens from the east and west. It is not possible to state with accuracy the date of these photographs but such clues as there are suggest a period about 1890. The large building 56 Old Steine, was then occupied as a school for girls.